removing of pages with the handy zipper provided. 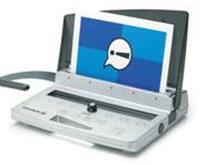 Comp act and portable velobind strip binder (re-closeable’ 4-pin format). can be easily re-opened for adding and removing of pages. opener enables continuous punching and comb loading, for faster document finishing. An ideal binding solution for the medium offices with moderate volume needs. shared binding solution for everyday medium office use. A compact and stylish general office wire binder. Ideal for everyday desktop binding. 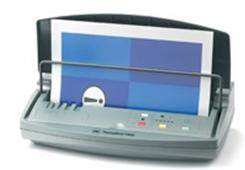 Thermal binder ideal for personal and small office use.